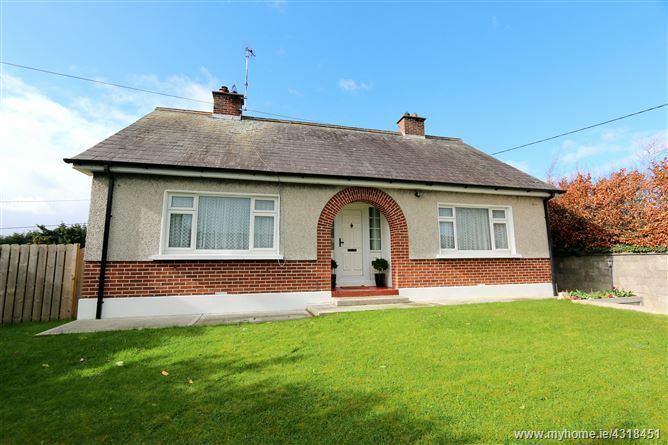 Beautifully maintained 3 bedroom detached bungalow ideally located in centre of Julianstown village. The house itself is deceptively spacious and offers bright spacious accommodation throughout. Accommodation briefly comprises of entrance hall, sitting room, dining room/living room, kitchen, 3 bedrooms and bathroom. Also included is an attached utility room to rear along with detached garage. Externally, there is a front garden with off street parking and sunny south-west facing private rear garden. Ideally located opposite the award winning Lime kiln bar and restaurant and a short walk to local creche and Whitecross primary school. Julianstown is located approx. 5 km south of Drogheda on the N.1. A perfect commuter option with easy access onto M.1 taking you to Dublin airport in 20 minutes. Miles of coastline are also close by with beautiful beaches at Laytown, Bettystown and Gormanstown which also provide train services directly to city centre.